We may be North of the 60th parallel, but when the conditions are right and Mother Nature smiles down on us, summer can be extraordinary up here. Lately the skies have been blue and the sun has only been setting briefly between midnight and 3 am (I know because I get up to feed babies, of course). This means the heat that accumulates during the day doesn't have long to cool down before the sun rises and the next day begins. Yesterday our backyard thermometer read 33 degrees! Nobody has air conditioning in town, because it's only once or twice a year we'd need to use it. There is one outdoor pool in town, but it's fed by hot springs. So what do we do to cool off? We go to the beach. We're lucky to have a number of beaches within a couple minutes drive, and as far as a couple of hours away. 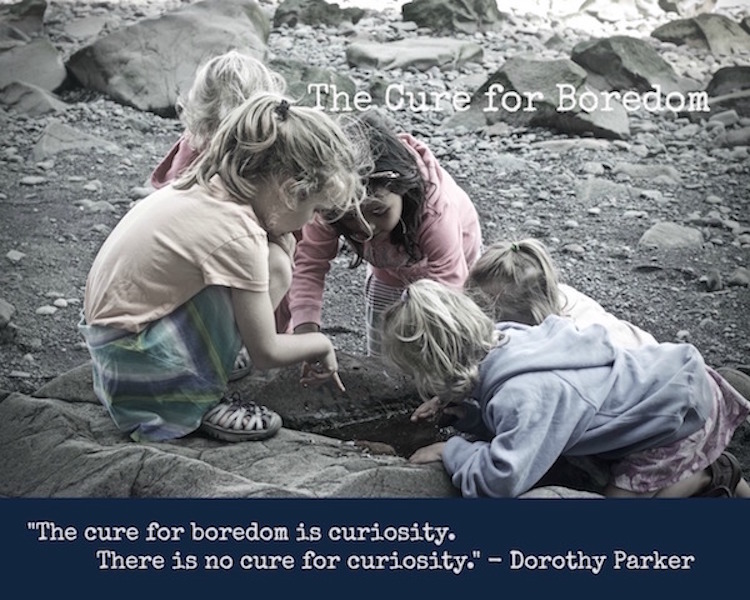 They're all clean, many have sandy beaches, and none are ever so busy as to irritate. Everyone finds what they're looking for and sets up their picnic blankets, setting up their own beach vibe for the day. 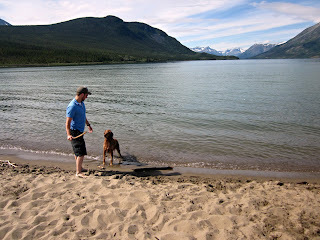 We went to the beach in Carcross this week, about 45 minutes away. It sits in a bowl of sky-high mountains, some still with snow on top. 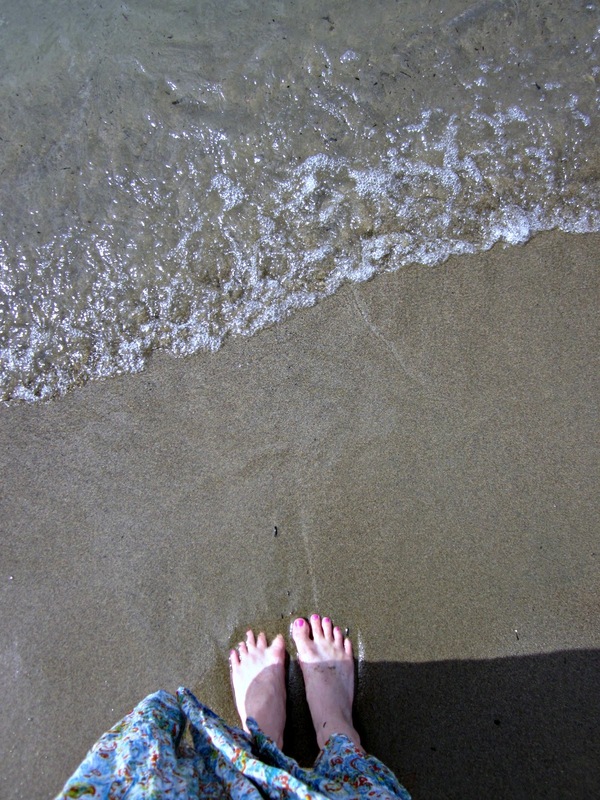 The water is a luminescent green-blue, and the sand is soft. It is picturesque...I want to use the word heavenly. 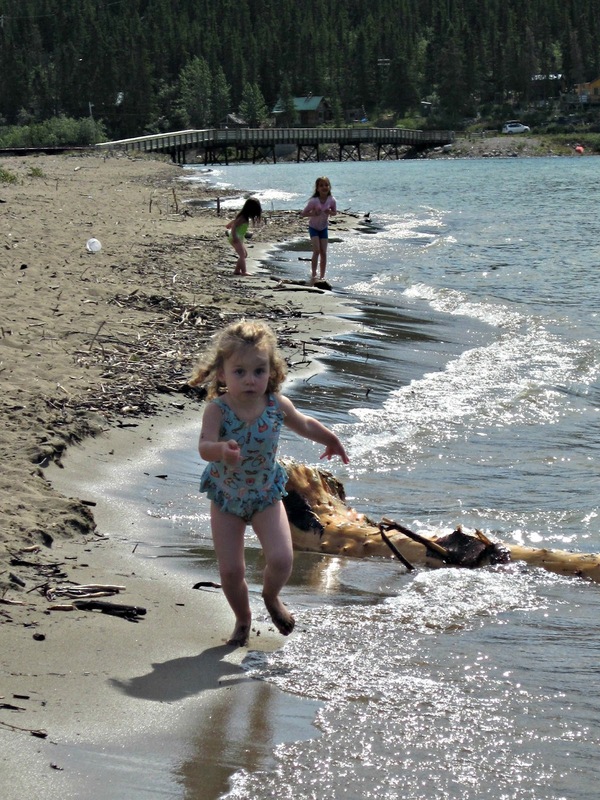 The water was pretty cold, so most of use stuck to the shoreline, running up and down it. Me? 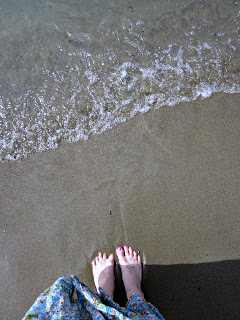 Well, if you give me a beach on a hot day, I am compelled to dive in, hypothermia risk or not. Once the babies were asleep in their playpen for a beach nap, I ran into the water and hyperventilated with cold, then ran back out quickly! Yesterday, we took the girls to the splash park by the river to cool off, then set up the sprinkler after dinner to run through. I am having a blast coming up with ways to cool off, and I hope I have the chance to come up with more ideas for the next month or two. After all, we suffered through a long, eight-month winter-- we deserve some sun! Totally unrelated to your post, but I love your kelly green bathing suit. So cute! Thanks! I think its a Wal-Mart score!